There’s no shortage of amazing things to do in Georgia. In fact, it can be downright difficult to decide what to do first when you visit this great state! Between the modern attractions of Atlanta, or the natural wonders of Georgia’s camping, there’s more to do than you could hope to see on a single trip. Now, being that we’re nestled up in the Appalachian Mountains, we might be a little biased in favor of coming out to see the spectacular mountains and lovely rivers of natural Georgia. But, for some reason, plenty folks also seem to enjoy going to Atlanta to watch the Hawks play some Basketball. So, if you’ve only got one weekend to experience Georgia, what’s the best value for your vacation dollars? Let’s break things down a bit! A Weekend In The Woods, Or A Night Of Great Basketball? It’s hard to create ballpark figures for costs on attending a sports event, simply because of how many options you have in pricing. The cheapest Hawks tickets can be had for $20-$40 dollars, depending on who they're playing, but those are also the worst seats. Good seats can go up to several hundred a pop. If you want to experience the Hawks at courtside, you could be paying $1200+ for a family of four. Of course, that’s just the tickets – you’re also looking at souvenirs and concessions, which can easily add another couple hundred to the experience, which only lasts for an evening. Plus, then there’s still a matter of finding a hotel, which are quite expensive in the Atlanta metro area! On the other hand, even the nicest luxury cabins only come in around $300 a night, and there are plenty of cheaper options available. 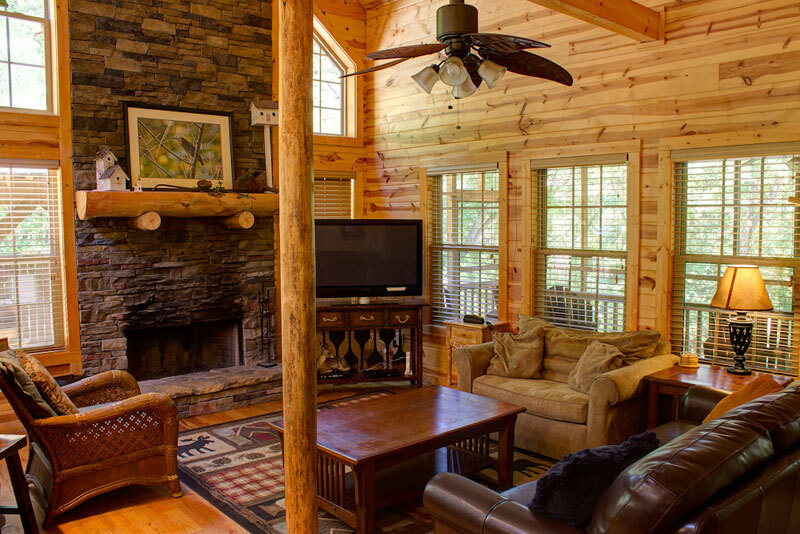 For a single weekend, two or three nights in a cabin can easily be less expensive than a single evening at the downtown Philips Arena. If you’re taking your family on a trip, it has to be somewhere that’s appropriate for children. While there is certainly a lot to see and do in downtown Atlanta, as with most of the major cities in the US, it’s more of a playground for adults than for children. Kids aren’t going to be impressed with the shopping and business opportunities, and there are all the usual dangers of having children wandering around an unfamiliar city. As for the mountains, what could be more family-friendly than a trip back into America’s natural past? Helen prides itself on being the best little German town in America, full of old-world hospitality and a selection of stores and attractions that are perfect for anyone, at any age. Besides, children see the wonders of the modern technological world every day. Far fewer get to experience the wonders of nature. Well, as one of the nation’s biggest and most important international travel hubs, getting to Atlanta is going to be easier than getting to Helen – virtually every airline in the world flies to Atlanta International. The Hawks’ downtown Philips Arena is also easy enough to get to, as it’s located next to the CNN building, although downtown traffic can often slow things down in the evening. But then, Helen isn’t as far away as most people think! Despite being nestled high in the mountains, it’s only around a 90-minute drive North from Atlanta, putting it right in Georgia’s back yard. Even if you’re flying into ATL, a trip out to Helen isn’t going to add much to your travel itinerary! While an evening out at an Atlanta Hawks game is a great night of entertainment, that’s all there is to it. The entire show will be over in three hours, not counting the hour it takes to leave the parking lot afterwards. Downtown Atlanta has plenty of attractions, but most of them will add even more money to your vacation bill. 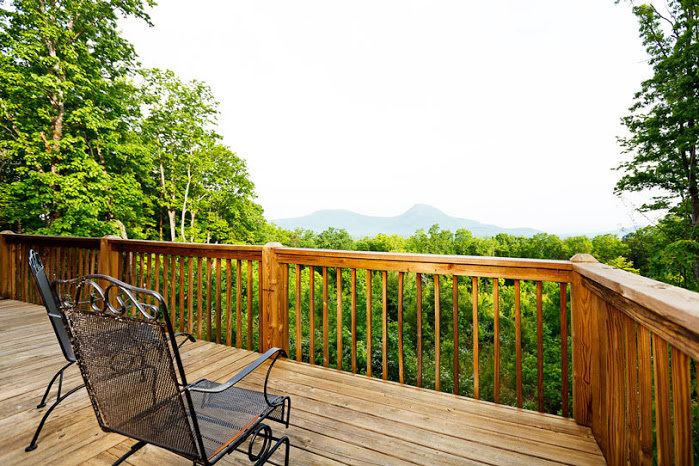 Now, while the entertainment value of a cabin in the woods might be somewhat subjective, you get a lot to do in a very small package when you visit Helen. The town is easily walkable, full of quaint shops and architecture, and we have a vast variety of inexpensive natural attractions for you and your family to take in! For less than it costs to take in a Hawks game, you can get a full weekend of uplifting experiences and natural beauty, accompanied by fun and friendly Helen locals. 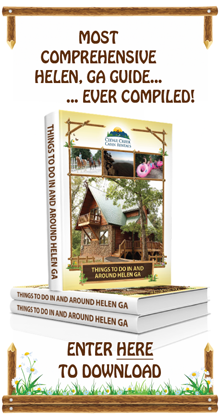 Like we said, we might be a little biased, but we think a weekend in Helen is one of the best family vacation values in Georgia. It’s affordable, beautiful, and a great destination for families across the nation. So, what are your favorite places to visit in Georgia?